Enjoy a discounted Orlando visit through Vacation Now! We are here to help you maximize your vacations through an innovative approach where resorts work with us on wholesale pricing so we can offer you deep discounts on their behalf. In some cases you won’t have to pay anything except a refundable deposit. To get things kicked off we have deals with properties in Las Vegas, Maui and the Villas at Regal Palms in the theme park capital of the world, Orlando! One of the most important things in life is making positive memories, and one of the best ways to do that is to take a vacation now. You can enjoy these enticing attractions at generously discounted prices when you book an Orlando getaway with Vacation Now. We have an innovative approach to vacationing where resorts work with us on wholesale pricing so we can offer you deep discounts on their behalf. In some cases you won’t have to pay anything except a refundable deposit. We get discounted rates through direct agreements with our resort destinations, including the Villas at Regal Palms in Davenport, Fla., near Orlando. The Villas at Regal Palms are the exclusive three- and four-bedroom townhouses within the Regal Palms Resort. They are noted for their spaciousness, amenities and tastefully-appointed décor. The 1,679-square foot Monarch and 1,376-square foot Colonnade both have full kitchens, granite countertops, wood flooring and stainless steel appliances in addition to full-size washer-dryers, flat screen TVs and outdoor terraces. The Villas can easily accommodate large travel parties and provide all the comforts of home. 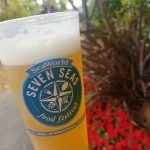 Set sail on a SeaWorld Taste Adventure on your next visit to Villas! 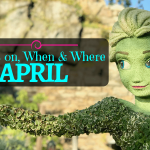 Your April Orlando questions answered here!